Ben Oss is a luxurious one bed apartment situated on ground floor level. The spacious double bedroom and a main shower/bathroom lead on to the open plan living, kitchen and dining area. 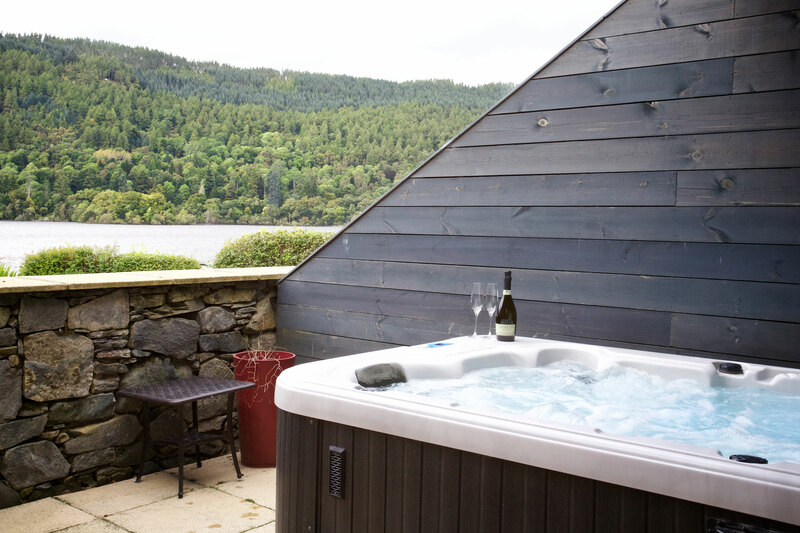 Enjoy modern furnishings with a fresh feel and not forgetting your very own hot tub on the terrace.